I’m co-organizing a fab new Distinguished Speaker Series which is a collaboration between UCD’s School of Art History and Cultural Policy and NCAD’s Faculty of Visual Culture. First up (this Friday!) is David Ross, current Chairman of the MFA Art Practice program at the School of Visual Arts in NYC (and ex-director of SFMOMA, the Whitney and Boston ICA). Tickets are limited & flying out the door! The lecture is free but RSVPs are required. A Distinguished Speaker Series hosted by the School of Art History and Cultural Policy (University College Dublin) and the Faculty of Visual Culture (National College of Art and Design) with support from the Irish Museums Association. How can we re-conceptualize—in theory and practice—the museum and academy as sites of possibility, transformation and change in Ireland? This public Speaker Series has been convened in response to critical challenges now facing Irish arts and cultural practice and education—including the proposed re-structuring of third-level artistic education, and the crises of funding and function impacting our national cultural institutions. Much recent debate has centred on the notion of a ‘turn’ towards education in contemporary art practice and curation—or as Irit Rogoff has influentially described, a turn where ‘we shift away from something or towards or around something, and it is we who are in movement, rather than it.’ What shape and direction should our efforts take, as we seek to actively reshape inherited legacies of the Irish museum and academy, and transform processes of knowledge production and transfer in the 21st century? Over the coming months in 2013 we have invited a number of international scholars who have occupied senior positions in both the academy and museum to reflect on the dynamics of their own ‘turning’, the pedagogies uniting museums, galleries and the third level sector, and new models of collaboration and opportunity. Chairman of the MFA: Art Practice program at the School of Visual Arts in New York City, David A. Ross has a 40-year career as an art museum professional and educator. Career highlights have included curatorial and senior leadership positions at the Everson Museum of Art, the Long Beach Museum of Art, and the University Art Museum at UC Berkeley; and directorships at Boston’s Institute of Contemporary Art, the Whitney Museum, and at the San Francisco Museum of Modern Art. 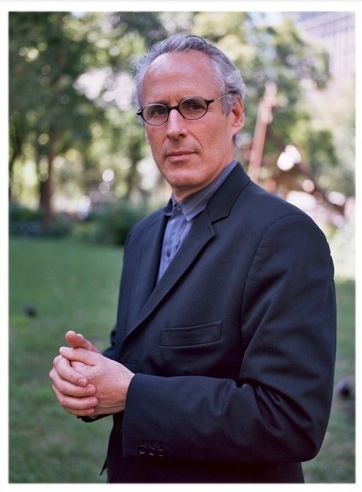 Ross was also the Co-Founder and President of the Artists’ Pension Trust (a pioneering financial planning program for working artists), has lectured at various universities across the country, and has served as juror and commissioner at a broad range of international shows and exhibitions (including Documenta, the Venice Biennale, and The Carnegie International). Known for his willingness and proven ability to work within museums undergoing periods of significant transition, Ross has successfully rebuilt staff, public programs, collections and exhibition schedules, while enhancing the reputation and community support for the institutions that he has served. Hi Seamus — it won’t be broadcast live, but it will be recorded and a podcast subsequently uploaded. Thanks! Pingback: The Art World is Dead (Cool) | Must. Have. Input.